MAT The Basics Messina Area Rug - White Multi - Swatches may be available. Hand Tufted. Contemporary. Taking the phrase "think outside of the box" literally, a branch of perfectly colored blossoms burst out of their allotted canvas in a most unique way on this distinctive floor covering. 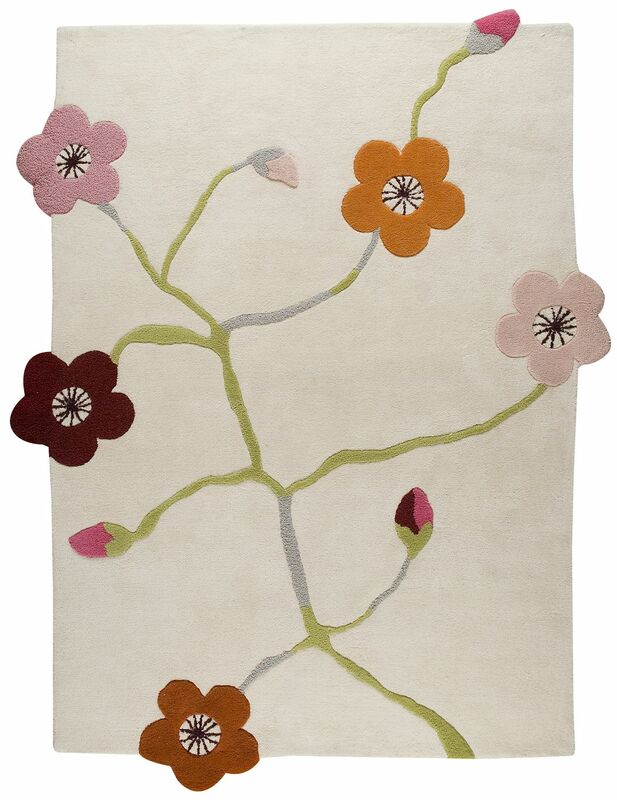 The whimsical nature of the Messina rug makes this an ideal piece of decor for a formal dining room or perhaps even a nursery, as the sweetness of the blooms hold a childlike innocence. Hand crafted by artisans, this collection is constructed using viscose and wool. 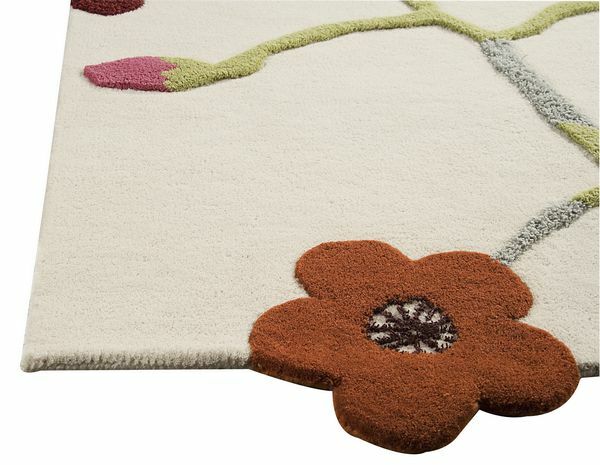 Hand Tufted with 90% wool, 10% cotton. Pile height is 0.5 inches. Made in India. MAT The Basics Messina Area Rug - White Multi - 5'6"x7'10"
MAT The Basics Messina Area Rug - White Multi - 8'3"x11'6"